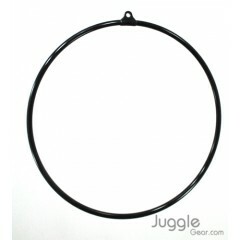 Aerial hoop, aerial ring, cerceau, or lyra is a circular apparatus in which artist perform aerial dance and acrobatics. 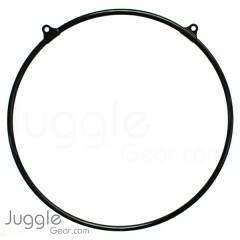 Hand loops and other variations of the hoop design allow for many creative skills: spinning, swinging and static. We stock a full range of good valued and fully tested equipment, which exceeds industry standards. 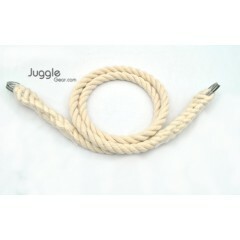 Lead ropes for aerial hoop. This is a soft flexible lead rope with the confidence of a reinforced st.. 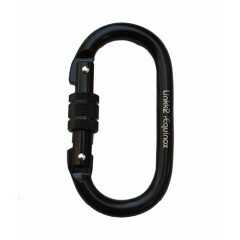 The Equinox is a oval-shaped carabiner, which decreases the chances of cross loading the gate and di.. 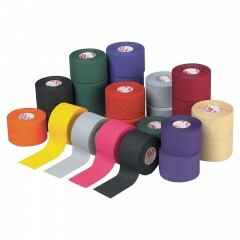 The Mueller M-Tape colored athletic tape is the highest quality athletic tape available anywhere. 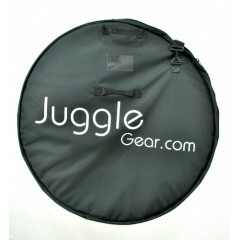 Th..
JuggleGear hoop bag made from a strong, practical black fabric. Includes an inside pocket for your p.. 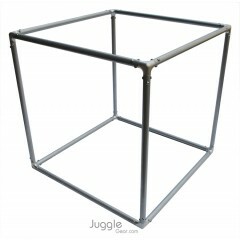 Designed to attach to web/corde or aerial rings. Features: Material: cotton with Leather safe.. 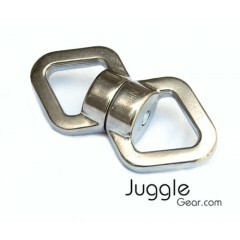 Stainless steel body mounted onto enclosed stainless steel ball bearings allow for smooth swivel to ..